Below is a sampling of some of the websites we have developed for various businesses. Take a good look at this site and the others listed here. We think you’ll find the kind of quality design your site deserves. We offer everything from basic, inexpensive-yet-effective no-nonsense websites to full shopping cart secure-server sites and custom WordPress websites. And all our sites are custom, made-to-exact-specifications websites. If you can visualize it, we can create it! Contact us. You’ll be glad you did. 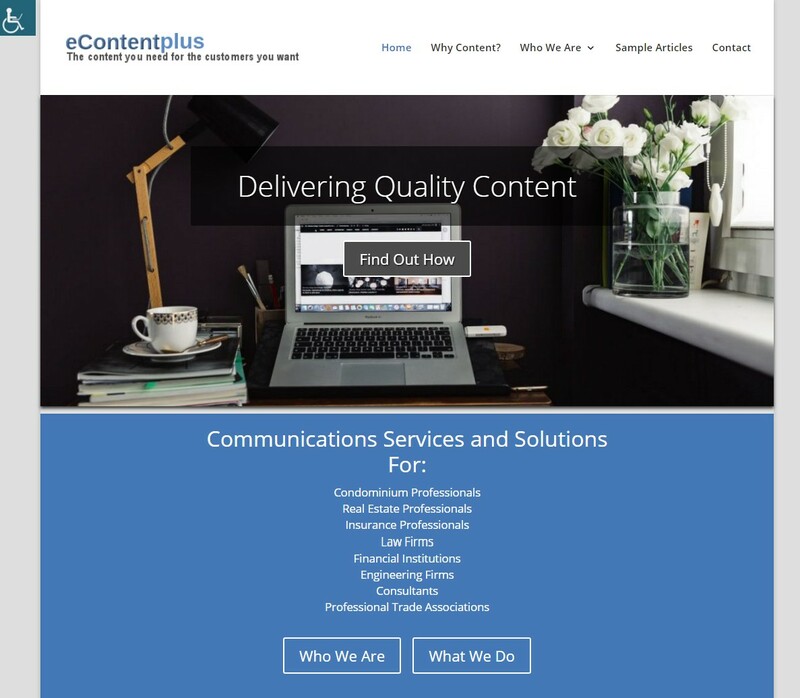 This site recently had a complete redesign from their previous Flash-driven site to a fresh new website that is mobile-friendly and emphasizes their focus on a calming, friendly place. 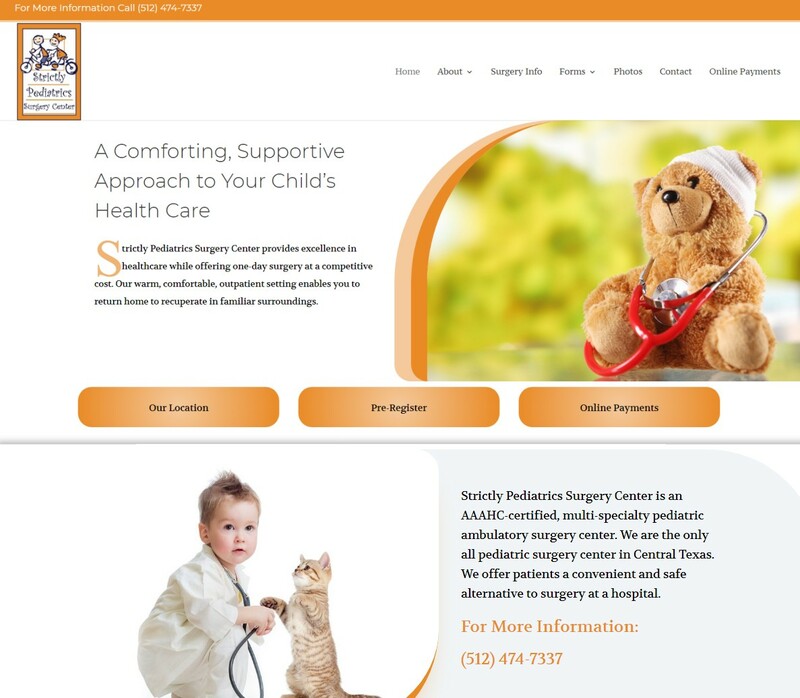 There are forms for surgery pre-registration and a survey regarding your child’s experience with the surgery center. Included is a lovely photo gallery of the center and a wide variety of surgery information in both English and Spanish. 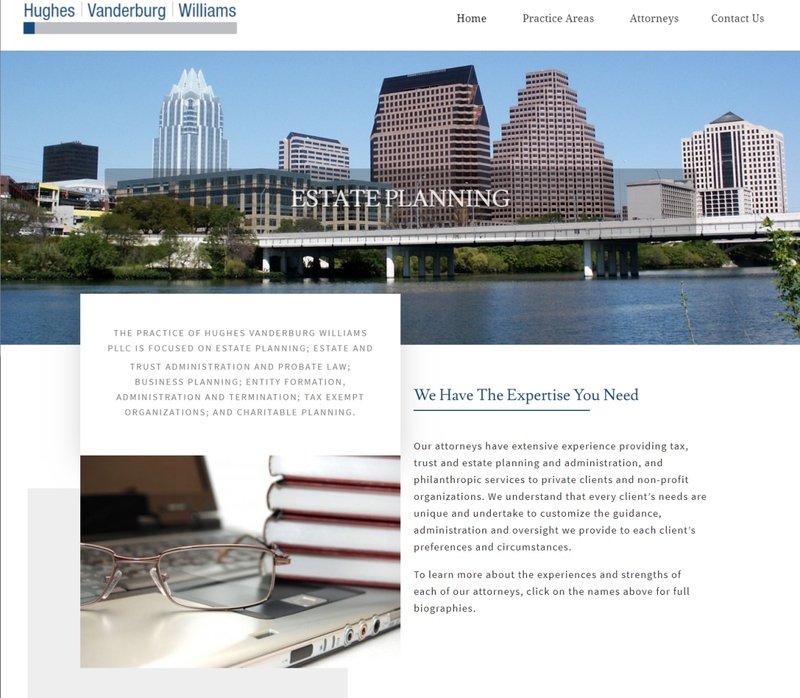 A recent redesign of an existing site, we created a contemporary look that was also mobile friendly. We wanted to make sure to create a site that, while elegant in design, was also easy to read and navigate. We incorporated SEO best-practices and added notations in the back-end so the client is able to update their own site if they choose. This site was set up to allow the client to write sample articles and have them automatically be assigned to the front page. We also added an accessibility feature to make the site more user friendly to visitors with visual or physical limitations. Designed with simplicity in mind, the site still offers plenty of information, is easy to update and is optimized for search engines as well. 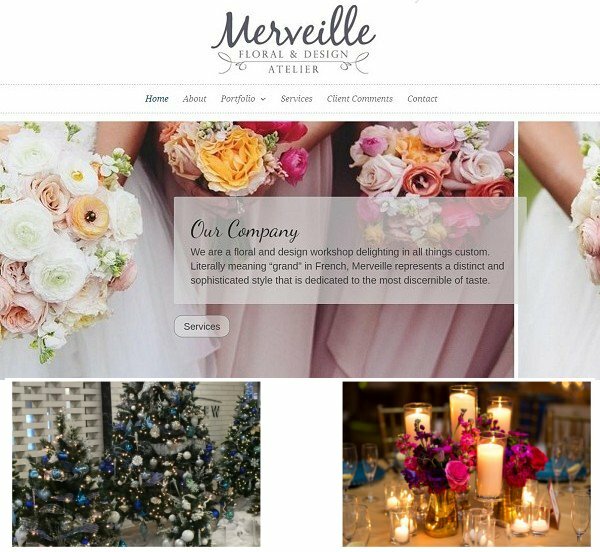 The focus of this site is to showcase the stunning floral decor and designs of Merveille. We designed the site with that in mind and created some wonderful photo galleries. October Skies maintains the site and adds new gallery selections as photos become available from photographers for these events. This company has been a client of October Skies for many years. We’ve recently done some updates to create a responsive website that flows well for mobile devices. 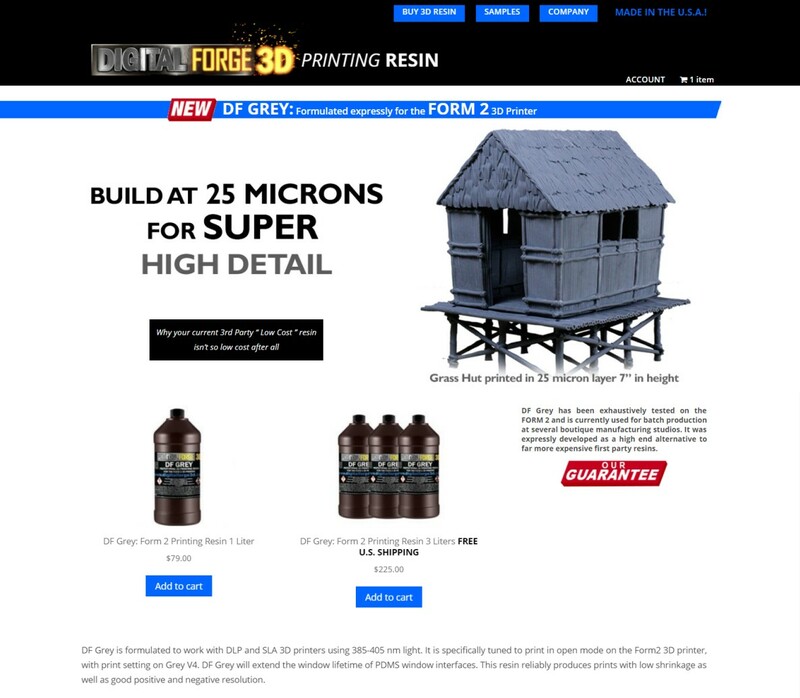 Included in this build is a mailing list for visitors to subscribe and receive updates when new product lines are added as well as an advanced shipping setup. 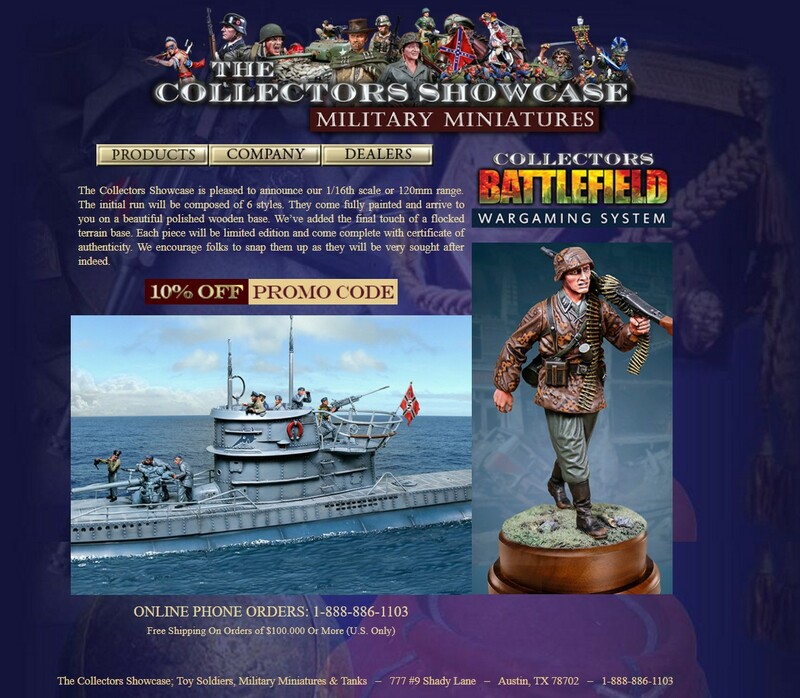 October Skies manages the product updates and creates image packs for The Collectors Showcase retailers to download. This site was built with WordPress and Woocommerce to create an affordable, clean website that allows product sales worldwide. The simple yet elegant design includes a product photo gallery and free shipping for the larger volume product sales. There is a basic contact form and the website is set up in full SSL secure mode, to comply with the latest security recommendations (and make Google happy). Another client we’ve had for decades. 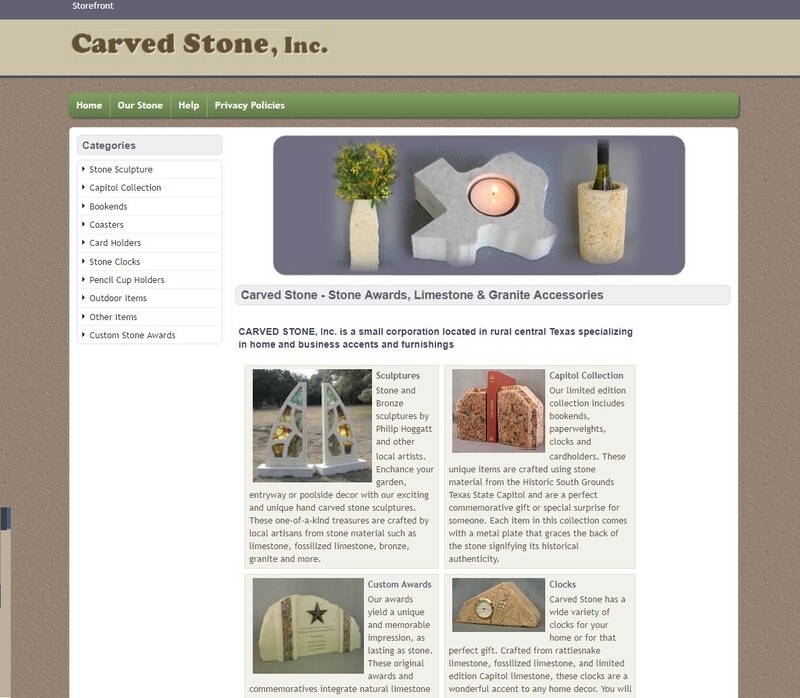 This company sells some amazing carved stone items! We developed this site so the client can maintain and do their own updates and product additions. We step in to help as needed to provide our expertise. This website was recently updated to accommodate the need for mobile-friendly websites. This site offers some really unique items, from their best-selling nutcracker to their very popular grilling tool. 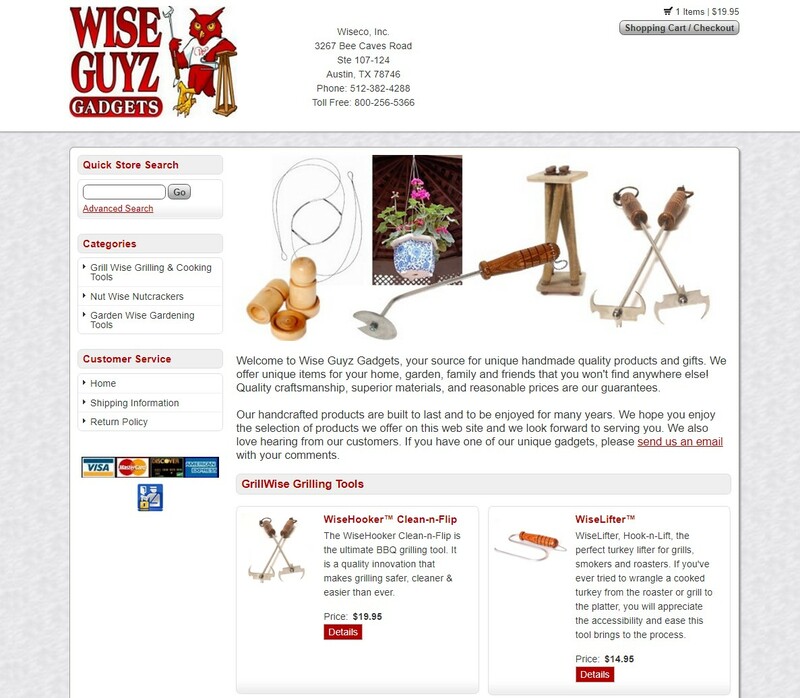 Wise Gadgets have been a client of October Skies for about 15 years and the site has recently been updated to be responsive for mobile devices. We manage inventory and set up a “notify” list to allow visitors to request an email when an item is restocked. Created with Click Cart Pro, this store is very easy to maintain and is extremely search engine friendly.